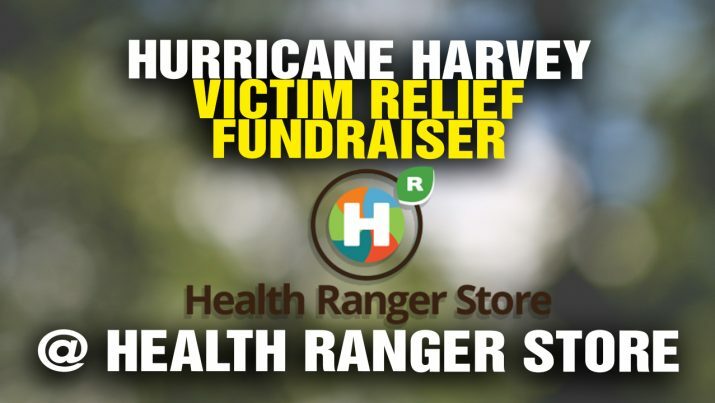 In a 48-hour period, customers purchased over $120,000 worth of products from the Health Ranger Store as part of our fundraising effort that pledges 50% of every dollar to Hurricane Harvey victims. Thank you for your support in helping us bring desperately needed funds to the hundreds of thousands of people who have been displaced or even wiped out by the flooding aftermath of Hurricane Harvey. As I explain in my video below, the outpouring of support for this fundraising effort gives me renewed faith in humanity. NOTE: If you participated in this fundraising effort, please have patience with our order fulfillment. We have a lot of orders to fill, and Monday is the Labor Day holiday. On top of that, UPS and Fedex are are backlogged in this region. We’re working very hard to get the 1,000+ orders shipped quickly. NEXT STEPS: Now we are finalizing all the accounting and sales numbers and deciding which amounts go to which groups in Houston and other affected areas. This storm was widespread, and many areas outside of Houston were hit hard. For example, a food bank in La Grange, Texas is in desperate need to help over 5,000 families who have been heavily impacted by flooding. That food bank is one of several on our donation list. Health Ranger Store support staff have been on the phone, calling food banks, churches and non-profit groups to confirm their activities and tax IDs. This weekend, we will make the final decision on which amounts go to which groups. Monday is a holiday, so we’ll get these checks dispatched on Tuesday. All groups receiving these donations should receive our checks by Wednesday, Thursday or Friday at the latest, which means your generous support will begin having a direct, positive impact on the lives of these people in just a matter of a few days. Watch my video below for more details on why Hurricane Harvey seems to bring out the humanity in people. Together, we have accomplished something truly tremendous: Sending over $60,000 to relief groups who will spend that money on direct aid for those who need it most. Again, thank you for your support!